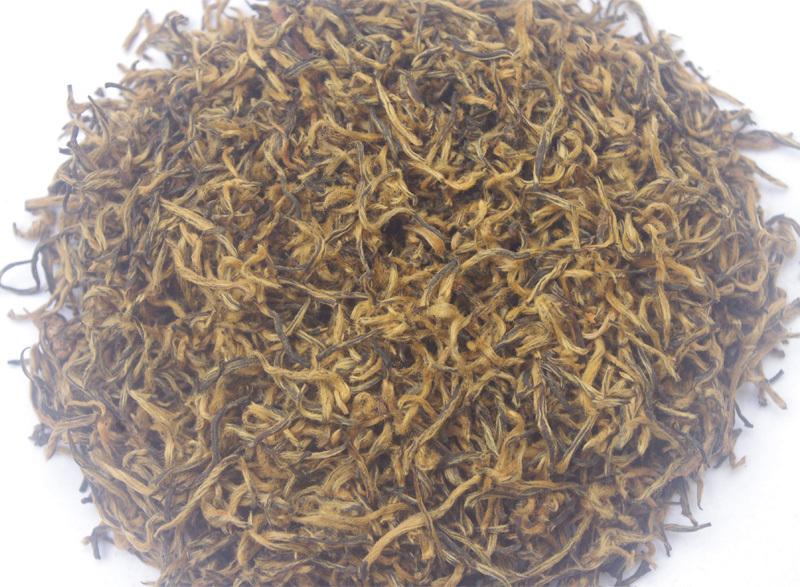 Golden Monkey is one of the ancient Chinese Black Teas. It is originated in Songxi of Fujian. it is made by the single bud and one bud one leaf newly open material plucked in Spring from small leaf tea cultivars. The Golden Monkey is renowned for its strong honey flavor due to the tenderness of the material. and the taste is mild fruity mellow. The curly tea body of Golden Monkey is all covered by golden hair. The hair is lively frying on the tea body. So the tea looks like a golden Monkey.That’s why it is named. The Golden Monkey Black Tea has ever been served in the banquet of White House. Our Golden Monkey is from Ceres Organic tea garden.